John Matera is executive director of management services for the Archdiocese of Baltimore. The Archdiocese of Baltimore finished the 2018 fiscal year in better financial shape than the prior year, primarily because of improvements in the stock market, which especially helped recover some of the unfunded balance in the archdiocese’s retirement fund. The annual financial report covers the year ending June 30, 2018. Assets in the retirement fund achieved a return of 13 percent in that year, according to John Matera, executive director of management services of the archdiocese. He called FY ’18 a “vanilla year” in which the operating budget of the diocese essentially broke even. “The investment markets worked in our favor. We don’t budget for market gains, so those helped,” he said. 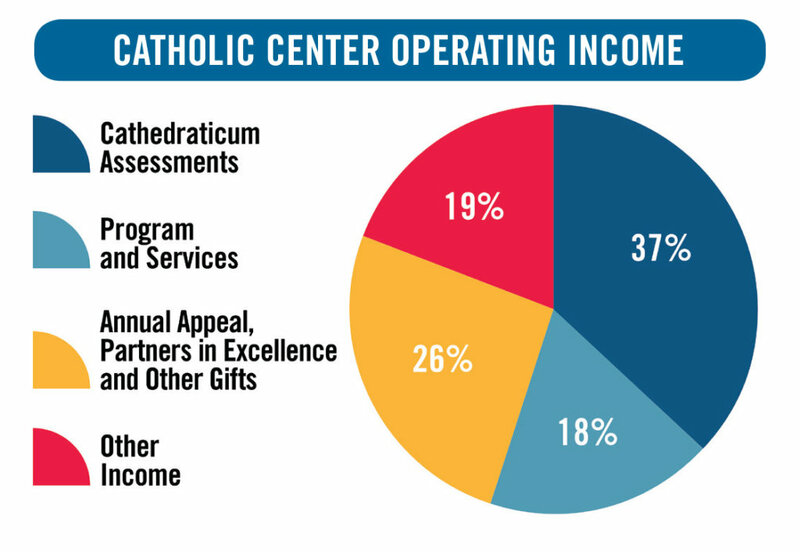 Catholic Center operating income was up 4.4 percent to $39.8 million, including a 2.1 percent increase in cathedraticum assessments, which are based primarily on offertory income from parishes. Operating expenses for the Catholic Center rose to $46 million from $41.6 million. Included in that amount is $12.9 million in grants for tuition assistance; parish and school support; Catholic ministries; and Catholic Charities and other local agencies. The Embracing Our Mission capital campaign also provided an additional $1.7 million in grants in these areas. The combined Catholic Center operating and other activities ended the year with a surplus of $18.9 million, up from $10.9 million in the prior year. The cathedraticum assessment was up about 2 percent from 2017 to 2018, typical growth for that portion of funding. Parish offertory income is the largest determinant of the cathedraticum. The archdiocese has seen about a 2 percent decline in offertory contributions in the first half of fiscal 2019, reflecting some concerns expressed by people in the pews in the aftermath of new revelations of clergy sexual misconduct over the summer. The government furlough in December and January didn’t help either, he said, because many government workers live in the archdiocese. “We’re also a little worried about how the changes in tax laws will affect giving. Some people who were itemizing (charitable contributions) before may not get a deduction,” he said. News reports that people are getting about 8 percent less in tax refunds this year concerns people. Matera said it’s possible people are paying less in taxes than they did last year, but since they got more money upfront in their paychecks throughout the year, they could see a smaller refund without actually paying more tax. He said endowments have become increasingly important to the archdiocese’s financial picture. One of the goals of the Embracing Our Mission campaign was to raise $23 million for a tuition assistance endowment. “This year is the first where we really are getting portions of our assistance finally being funded through those endowments,” to the tune of about $3 million per year, he said. Matera joined the archdiocese 19 years ago, and most recently was controller before he became chief financial officer of the archdiocese in December 2018, succeeding William Baird III. He said he will continue to emphasize solid budgeting, with two main focuses. 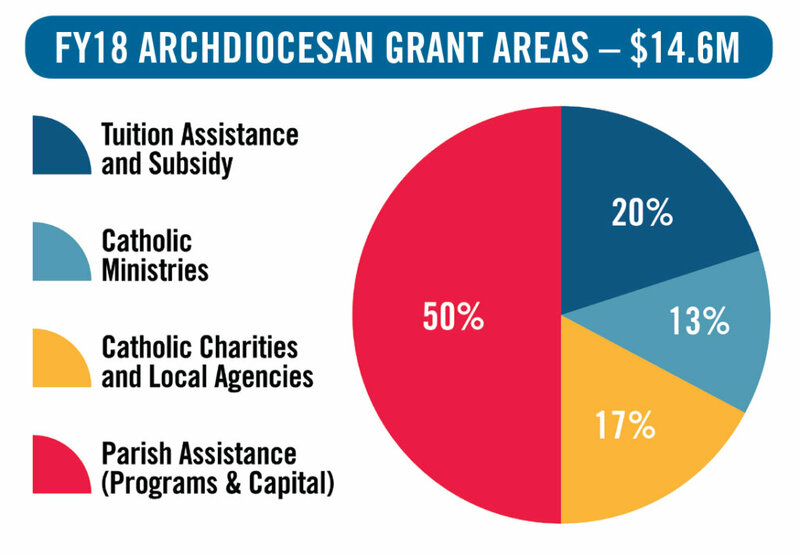 The external budget includes grants and other support to parishes and schools, which is budgeted to stay within restricted gifts and projected investment income. Controlling costs is essential. In general, the Catholic Center labor costs are not growing, through keeping the head count stable. He noted that labor and benefits increased only 3 percent in FY ’18, despite major increases in health costs and insurance. One of the things Matera hopes to fix is the number of parish and school entities that are struggling financially and don’t pay their insurance premiums. “Those are real costs; all of their people have real benefits. The (central) system has to pay for it, rather than the entities that benefit,” he said. His office and Archbishop William E. Lori get solid advice from the Board of Financial Administration, a finance council required by canon (church) law. They take part in the budget process and overseeing the annual audit, making sure the proper controls are in place. BOFA’s investment committee includes investment professionals, the audit committee has accountants, and so on. The archbishop must consult the board on any significant financial or property decision, and at a certain value, the board must provide consent as well. Email Christopher Gunty at editor@CatholicReview.org. 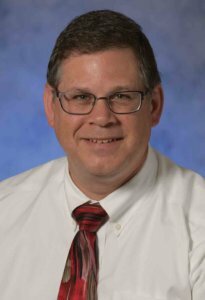 A Chicago-area native, Christopher Gunty is associate publisher/editor of The Catholic Review and CEO of its parent publishing company, The Cathedral Foundation/CR Media. He has spent his whole professional career in Catholic journalism as a writer, photographer, editor, circulation manager and associate publisher. 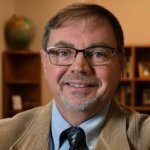 He spent four years with The Chicago Catholic; 19 years as founding editor and associate publisher of The Catholic Sun in Phoenix, Ariz.; and six years at The Florida Catholic. In July 2009, he came to Baltimore to lead The Cathedral Foundation. Chris served as president of the Catholic Press Association of the United States and Canada from 1996 to 1998, and has traveled extensively learning about and reporting on the work of the church, including Hong Kong, Malaysia, Haiti, Poland, Italy, Germany and finally in 2010 visited the Holy Land for the first time.